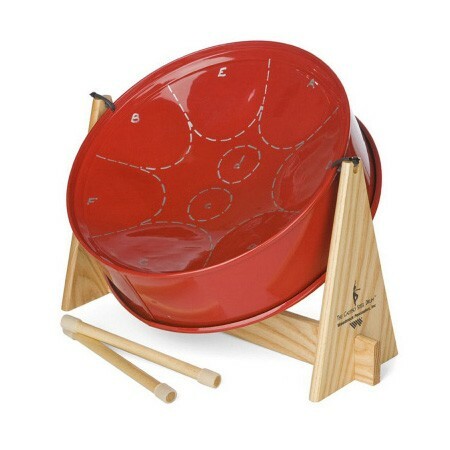 Steel Drums / Pan Drum – Get them one of these unique, mini steel drums and they can expand their musical repertoire! A steel drum (or pan drum), can produce a wide range of notes, allowing you to play a variety of musical sounds. Popular in Latin and calypso music. This quality, mini steel drum comes with a pair of rubber-tipped mallets, wooden stand, and song book. Perfect for kids or adults. Made in Trinidad where pan drums are quite popular. Approx. 10″ in diameter.